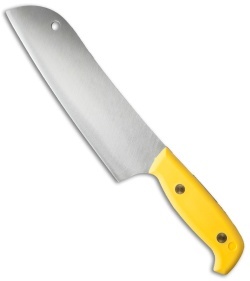 The Kiwi Santoku knife from Svord features a full-tang 12C27 steel blade for efficient cutting in the kitchen. This model has a yellow polypropylene handle with blue liner accents. 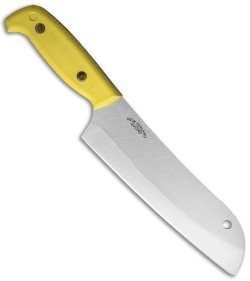 The blade comes in a sheepsfoot style with a satin finish. 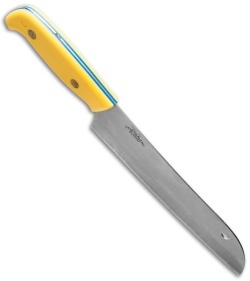 Ships with a blade edge guard. 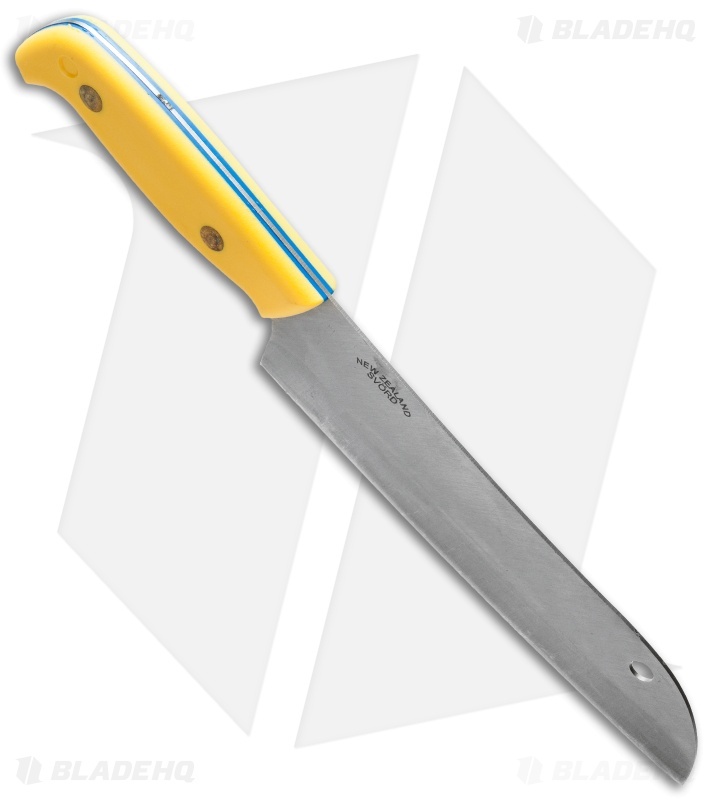 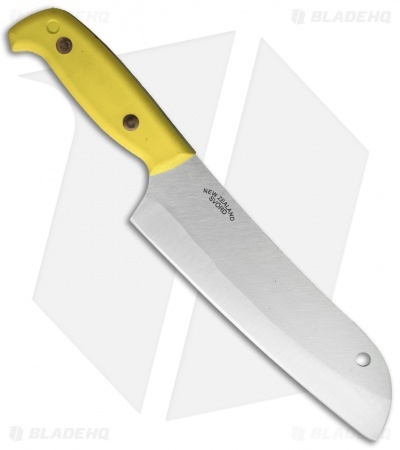 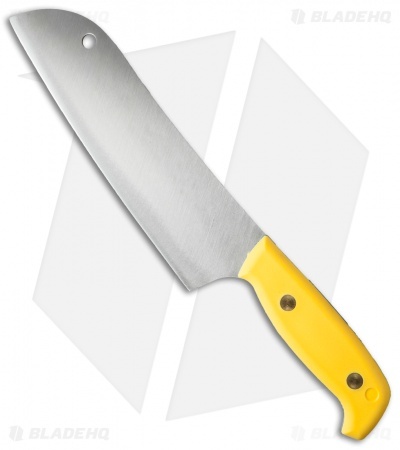 This version of the Kiwi Santoku has a satin finished blade and a yellow handle with blue liner accents.